1 sachet of vegetable stock. 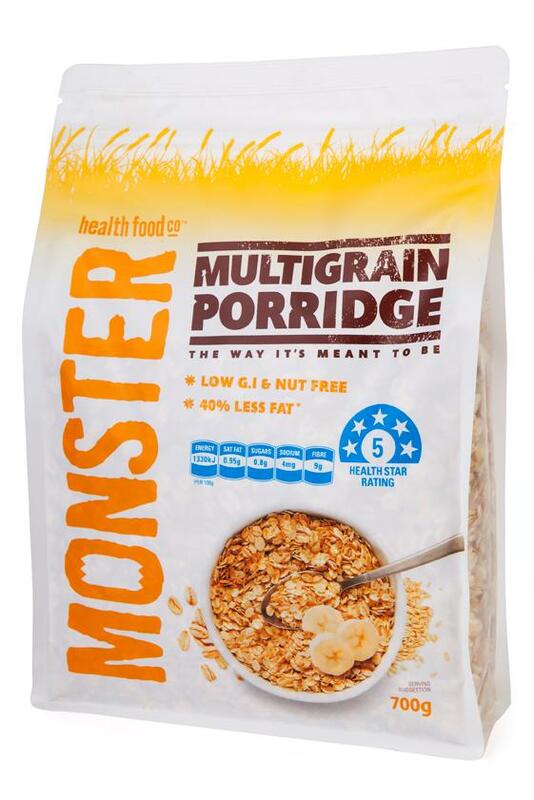 Monster Health Food Co Multigrain Porridge to roll. Fry mince and garlic until well combined and onion is soft. Grate apple into bowl and add all other ingredients except the oats. Divide mixture into even balls and roll in Multigrain Porridge. Place onto baking try with baking paper and into the oven for 20-30 minutes.